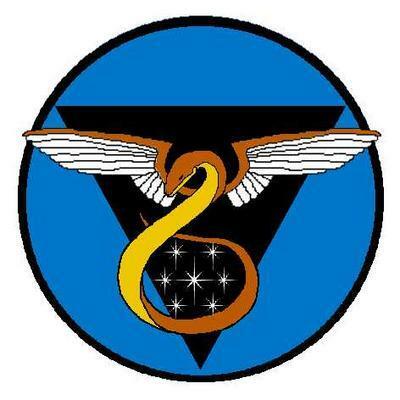 The ‘Ziovot Manipulators’ are more powerful than the ‘Illuminati’! Before the rise of the internet many historical events were engineered by this group with one main goal – not the New World Order but new rather a small group of elitists and making the rest of us the 99.9% a slave race – this project of The Ziovot Manipulators – The 0.01% project is called THE ORDER. To gain power The Manipulators (we will use the Manipulators and Ziovots interchangeably) use political manipulation, religion, finance, social engineering, mind control, and fear-based propaganda to achieve their aims. Signs of the Illuminati are said to be the pyramid on the reverse of the Great Seal of the United States etc etc. Yet the pyramid is a much more ancient symbol of energy and liberation that has been hijacked by the manipulators – I will go into the symbology of this in Part 2. The ‘Manipulators’ killed John F Kennedy – the reason! Operation Northwoods – was a plan by the Joint Chiefs of Staff to launch a fake Cuban terror campaign on American soil to persuade the US public to support an invasion against Castro in the 1960s. This plan involved bombings and the simultaneous hijacking and blowing up of American airliners – google ‘Operation Northwoods’ for more information. The operation was quashed by President Kennedy after he realised that The Manipulators were slowly taking over the worlds governments through proxies. The only one privy to this knowledge was his brother – Robert Kennedy who himself was assassinated a few years later after he wished to run for the US Presidency. Remember the Manipulators are answerable to NO ONE. The Illuminati are NOT THE ENEMY! They have also been used and manipulated! 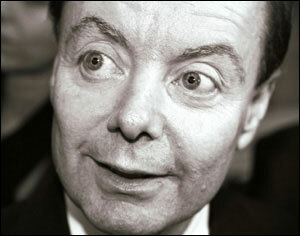 In the UK – The Manipulators are very powerful, they installed Harold Wilson by using the Illuminati as a front. Harold Wilson was an Illuminati agent who wised up to The Ziovots – Hugh Gaitskell was assassinated by the KGB in 1963 (the same year as John F Kennedys assassination) so that he could be replaced as Labour leader by Harold Wilson – The Ziovots considered Wilson a good chess piece – they knew of his status as a KGB man which they hoped they will be able to control him by the Ziovots favourite game – blackmail. The British military was on the point of launching a coup d’état against Wilson in 1974. Wilson himself told the BBC that he feared he was being undermined by MI5 in the late 1960s after devaluation of sterling and again in 1974 after he narrowly won an election against Edward Heath. What has all this to do with Pakistan? Pakistan was created to keep the South Asians under control – since its creation in 1947 the nation was on the path of fast development and hope not just for Asia but the Muslim world from Indonesia in the East to Morroco in the West – Pakistanis were welcome and trade, developmental and educational links were increasing. Pakistan was then slowly taken over by Ziovots during the late 1960s – Gen Ayub understood this threat and was removed from power to be replaced with Gen Yahya – whose favourite pastime was drinking, women and appeasing the Ziovot Mullahs. In turn the Ziovot Mullahs increased their foothold in the body of Pakistan and helped split it from its eastern half – in turn the appeasement of the Ziovots increased from the 1970s under Yahya, Bhutto and then General Zia. Until 1940, the definition of Pakistan as demanded by the League was so flexible that it could have been interpreted as a sovereign nation or as a member of a confederated India. Jinnah intended to use the threat of partition as a bargaining chip in order to gain more independence for the Muslim dominated provinces in the west from the Hindu-dominated center. Partition was a highly controversial arrangement, and remains a cause of much tension on the Indian subcontinent today. The British Viceroy, Lord Mountbatten of Burma has not only been accused of rushing the process through, but also is alleged to have influenced the Radcliffe Line in India’s favour.However, the commission took so long to decide on a final boundary that the two nations were granted their independence even before there was a defined boundary between them. Even then, the members were so distraught at their handiwork (and its results) that they refused compensation for their time on the commission. Pakistan should understand the ‘Manipulators – Ziovots’ and help turn the table on them and their footsoldoers – The Mullahs. Pakistanis mindsets are pre-occupied with international causes from Burma to Palestine – this is not to say that they or any others should ignore them – but rather put the interests of Pakistan first and cease being manipulated by Ziovots – from the creation of Pakistan through to the late 1970s – Iran was one of Pakistans best allies in the region – the Ziovot Conspiracy against Pakistan helped spilt Iran from Pakistan. Iran places its interests first and this is why its being targeted by Ziovot elements. The Deputy Speaker of the Delhi Legislative Assembly Amrish Singh Gautam says Iran and India are two historical and strategic allies. “Iran and India have deep historical and cultural relations and currently seek to expand political and economic ties,” Gautam says. He added that the recent visit by the Iranian foreign minister Ali Akbar Salehi showed amicable relations between the two important countries in the region despite foreign interference. Gautam noted that Tehran and New Delhi enjoy cordial and broad ties in various fields, particularly in the energy sector. This relationship is increasing and leaving Pakistan aside from where it could play a positive non-Ziovot role in the reconstruction of Afghanistan and help bring peace to the region without the Ziovot interference. One of the biggest Ziovots in public is the Supreme Leader of Ziovot Mullahs in Pakistan – Mullah Fazlur Rehman who has been playing a public role in the demonisation of Pakistan through his role as the leader of the pro-Taliban JUI. How can the human race/ Bani Adam (Family of Adam) overcome this? Previous A Jewish view of Abraham, compared with that of Islam.